Slow braising is one of the best cooking methods during the cold winter months. It’s a process that turns even tough cuts of meat into impossibly tender morsels in a rich sauce. The downside is that it usually takes hours to slow-braise a hunk of beef to tender perfection. An Instant Pot or other electric pressure cooker lets you get the benefits of slow braising in a fraction of the time. The recipe below produces short ribs with fall-off-the-bone-tender meat and a deep, rich sauce that is at once spicy, savory and sweet. 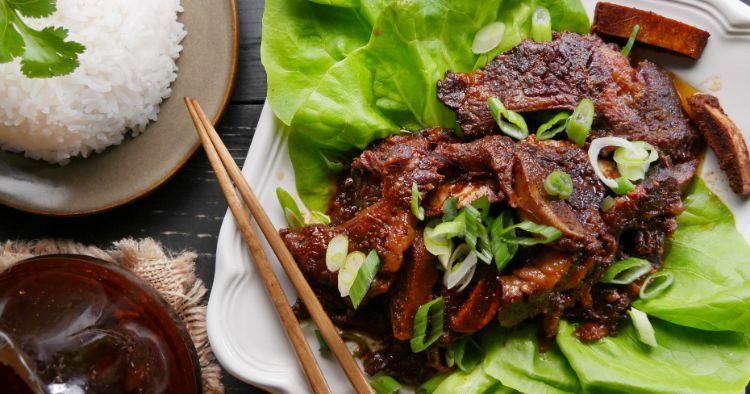 The “secret” ingredient in these Korean-style short ribs is gochujang, a Korean paste made of red chiles, glutinous rice and fermented soybeans. You can find it in Asian supermarkets or online. Its intense, pungent flavor profile combines spicy, salty and sweet. While many Korean short rib recipes call for Asian pear for an extra touch of sweetness and flavor, we’ve substituted a bit of applesauce since that’s more likely to be in your pantry at any given time. If you can, marinate the meat for at least two hours —overnight is even better — to allow the flavors to penetrate the meat. 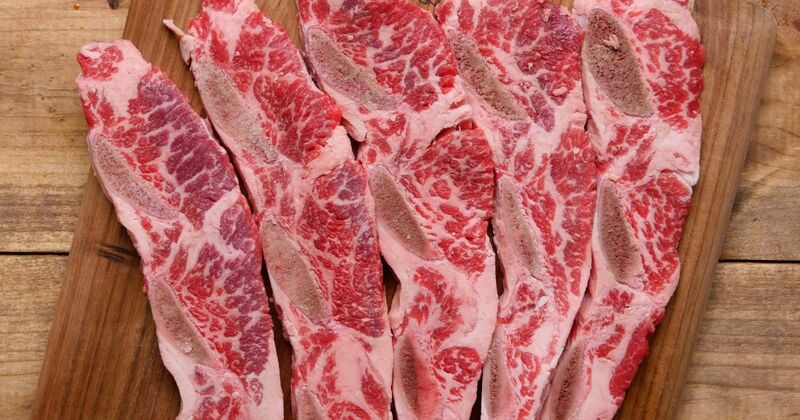 Season the short ribs with salt and pepper. Place the ribs in the Instant Pot. In a food processor or blender, combine the soy sauce, gochujang, honey, vinegar, garlic, scallions and ginger. Process to a smooth puree. Add the sauce mixture to the Instant Pot, turning the ribs to coat. Close the lid and turn the valve to the sealing position. Choose high pressure. Set the timer for 45 minutes. When the cooking time is up, let the pressure release naturally for 15 to 20 minutes, and then quick release any remaining pressure. Serve the ribs immediately, with some of the sauce spooned over the top and garnished with cilantro. Share this Korean yumminess on Facebook.